This is a delicate subtle flavoured stew, using clean white meat, normally the finest veal you can find, which is favourable with my children and my picky husband. I COULDN’T BELIEVE THAT EVERYONE HAD SECONDS! 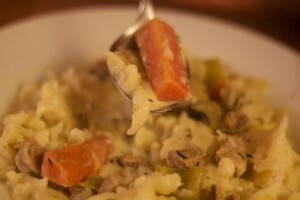 This is among the preferable meals in any French house. One, because it is easy to make, two, because it is a comfort food probably made for kids by their grandmothers and three, because these cuts of meat are often reasonable priced and you don’t need much in the stew to make this dish. Many people take out the veggies and sift the sauce to make it is white as possible, but I only did that for the kids so they didn’t have thyme and onions floating around on their plates. I did place a few pretty carrots and celery on their plates afterwards, and when they asked for more I gave it to them without sifting and they still ate it up! I served the stew over homemade pasta using organic whole wheat flour, a new thing I insist on doing for my family. I can control the quality of flour, the freshness of our organic eggs and add in just a dash of sea salt. Eh voila! 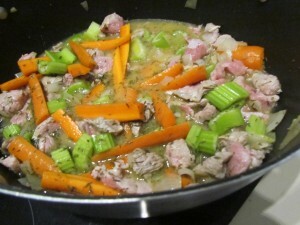 Step 1 – melt butter in skillet with lid, add in meat, onions, garlic, carrots, celery and warm for 5 5 – 10 minutes. Step 6 Serve immediately! Et VOILA! 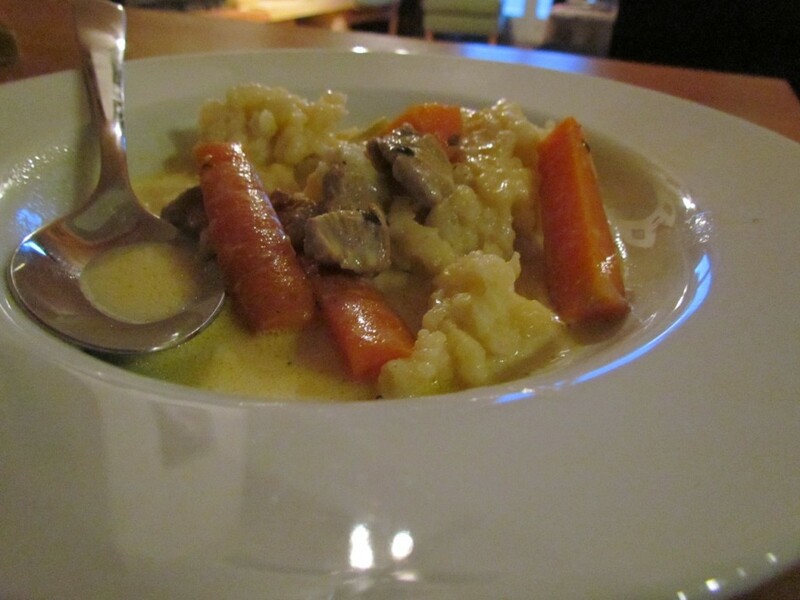 Blanquette! Posted on March 29, 2016 March 29, 2016 by EvaPosted in France, soupTagged blanquette, Cook, dinner, France, French, french cuisine, french food, Garlic, Olive oil, Onion, Sautéing, stews, Travel Eat Repeat.